Why choose Autronic Plastics, Inc. as my plastic injection molder? API has been designing plastic parts and plastic injection molds since 1953. We have continuously run under the same family ownership since its doors opened over 60 years ago. Our design and engineering teams have over 250 combined years of experience and provide personal attention to your project. We try to be flexible to accommodate our customers constantly changing schedules and provide outstanding customer service to go along with our ISO 9001:2015 certified quality systems and procedures. We are a one-stop shop and look forward to helping our customers overcome challenges in bringing their product to market the right way the first time. Autronic Plastics, Inc. can help to bring your project from concept to completion. API can design and prototype a new part, build a custom mold, manufacture, and assemble your plastic part all under one roof. API has 19 injection molding presses ranging from 60 tons to 550 tons. We are a contract manufacturer and can provide a turnkey manufacturing solution whether you are starting from scratch or transferring an existing production mold. How do you compare to China pricing? API offers globally competitive pricing, especially when considering the hidden costs associated with offshore sourcing. API designs, builds, maintains, and stores molds in the same ISO 9001:2015 certified location that parts are manufactured in, helping to reduce overall cost and lead times associated with tooling errors, mold repair, redesign, and shipping. Check out our off-shore pricing case study for more information. Is all work done at your facility? Autonic Plastics, Inc. has the capability to design and build almost any part required for any mold. The majority of our projects are completed fully in-house, however API also has a network of proven quality vendors that can be used should they better meet a customer's needs. What type of secondary or assembly options do you perform? API is your one-stop shop plastic injection molder. We provide a turnkey manufacturing solution with automated or manual assembly, packaging, decorating, welding, cleaning, and heat staking. In addition, we partner with many local vendors to perform any additional steps you may be looking for to bring your product to market quickly and efficiently. Can API run an existing tool? / Can I send my existing injection mold to API? Yes. API's engineers will help facilitate the move of the mold from its current location, qualify the mold, and can make repairs if necessary to achieve the quality standards you are looking for. Yes. 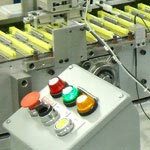 Autronic Plastics, Inc. can add inserts fully automated, semi-automated, or manually, depending upon your time and budget constraints. API has been designing molds and manufacturing parts with confidentiality since 1953. We have manufactured parts for many fortune 100 companies and handle all of our clients with non-disclosure practices. What are your plant operation hours? 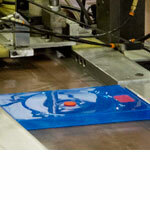 Autronic Plastics, Inc. has a 3 shift operation and runs 24 hours a day, 5 days per week, and some weekends. API's flexibility allows us to quickly adapt to the ever changing schedule for many of our customers. Autronic Plastics, Inc. headquarters is in Long Island, New York. Our address is 1150 Motor Parkway, Central Islip, NY 11722. We are proud to be a New York Plastic Manufacturer and a member of the Hauppauge Industrial Association (HIA). As API continues to grow, we are excited to continue our support for the Long Island economy and Long Island Manufacturing. Is API an ISO registered company? Yes. API is a UL listed and ISO 9001:2015 certified molder and assembler. We take pride in our constantly improving process and "Right the First Time" product launches. As our motto states, "Do it right today and even better tomorrow." Is API a QS registered company? No, however API is a UL listed and ISO 9001:2015 certified molder and assembler. We are a tier 3 supplier for several automotive companies and continue to exceed the qualification requirements and expectations of our customers. No. Although API does not mold rubber, we specialize in molding thermoplastic elastomers (TPEs) and thermoplastic polyurethanes (TPUs) used in rubber replacement. In many cases, TPEs and TPUs are interchangeable with rubber and can even perform better. TPEs and TPUs have great impact strength, higher cut and abrasion resistance, excellent salt water resistance, and can even cost less. TPUs and TPEs are often used to replace rubber components in the building & construction, mining, transportation, industrial manufacturing, packaging, and electrical industries. Can API machine or mold metal parts? 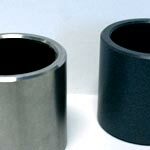 No, however API specializes in molding engineering plastics used in metal and wood replacement. Engineered thermoplastics provide many performance benefits while reducing weight and costs associated with material and transport. Check out our case study for metal replacement for more details. Who owns the mold after it is built? You do! The plastic injection mold is designed and built to run your parts. API maintains and houses the mold while it is on API premises, however once contractual obligations are fulfilled, you are free to move the mold anywhere. How long does it take to design a plastic part? The part design timeline is dependent upon complexity of the project. A simple part can be designed in a matter of hours, while a complex part can take several weeks. The amount of in person meetings and timelines are project specific. API designers and engineers can work with you to design your part with deliverables such as 2-D prints, 3-D CAD files, and a plastic prototype. How much does it cost to produce a plastic part? Part weight, size, geometry, material, volume and cavitation in the mold all have major impacts on part cost. Please click here to request a quote. Are there any part size limitations? API can currently manufacture parts up to 18" x 28" x 42", however we specialize in manufacturing small plastic parts. API molding presses range from 60 tons to 550 tons of clamping pressure. Does API have a minimum run size? Autronic Plastics, Inc. typically handles mid-high volume production, however also specializes in complex plastic parts and difficult to process resins. API does not have a minimum run size to begin a project, however please keep in mind that initial startup costs and tooling have a larger impact on smaller production runs than that of larger production runs. There are many factors that impact part lead times including material availability, part volume, press availability, and packaging requirements. Typical lead time for part re-order is about 3-5 weeks. Lead time for a new tooling project is dependent upon complexity of the part and mold design. Simple molds can be completed in a few weeks. 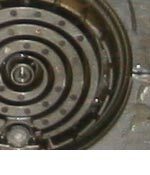 Complex, high cavitation, hardened steel, or multi-action tools can take up to a few months to complete. We build our molds to last in a high production manufacturing environment and do our best to work within our customers time and budget constraints. What is the process for designing a new plastic product? API engineers and designers work closely with our customers to design to a part for manufacturability and often make recommendations to improve the part or the manufacturing process for existing parts. We also offer mold flow simulation and analysis to assure that the mold will produce the part exactly as expected. Once final part design is approved, API builds the mold for manufacturing. How can I get a quote for the design of my plastic component? To request a quote, please fill out our initial RFQ form. Part prints, CAD files, and/or prototypes help streamline the process, but are not required. An API engineer will evaluate and will contact you regarding timelines for the project as well as for any additional information needed. Plastic injection molding is a manufacturing process in which plastic resin is melted and injected under high pressure into a mold and then cools to form a particular shape or geometry. Injection molding is a great way to manufacture plastic parts consistently, with tight tolerances, and often offers the lowest cost per part especially at high volumes. There is a wide array of resins and additives available depending upon the application of the parts needed. Autronic Plastics, Inc. specializes in utilizing engineering and high performance resins for added strength, performance, and resistance to degradive elements. What is a plastic injection mold? An injection mold is the tool that is used to form parts in the plastic injection molding process. 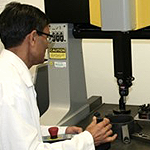 Tools are custom designed to allow for a specific part geometry, size, cooling methods, and injection pressure. Molds can be built with a single cavity to build one part at a time, multi-cavity for several parts at a time, or family to build several different parts at the same time. Tools can be built out of several different metals including aluminum, steel, or hardened steel, depending on the life cycle required. The injection mold is clamped to the molding press (machine) and molten plastic resin is injected into the mold. The molding cycle process consists of the closing of the mold, injection of resin, cooling time, and ejection of the part. Multiple parts are connected at their gate location by a runner system. API uses a combination of automated and manual runner removal depending on specific customer needs. Part size, geometry, quantity, and tooling budget are all major factors when trying to determine the best plastic manufacturing method. Certain geometries and shapes can impact manufacturability through plastic injection molding. API's experienced engineers and designers can help guide you through the product design and mold design process. What size part runs make sense for injection molding? Injection molding is a great process to make many plastic parts with consistency and at a low cost per part, however initial expenses (cost of the mold, setup, material costs) tend to be a significant investment. While there is no true minimum run size for a plastic part, a small run size causes the costs of setup and waste to have a much larger impact when divided amongst a smaller sampling. Material selection is specific to the application of the plastic part. Autronic Plastics, Inc. specializes in difficult to process and high performance engineering resins. API partners with multiple resin suppliers to provide guidance in selecting a material suitable for your needs. We work very closely with our customers to select and sample resins, but ultimately our customers have final approval before proceeding. Please check out our basic resin guide for a few ideas. Where are plastic injection molds and plastic parts made? API designs and builds custom plastic injection molds in our Long Island, NY facility along with prototyping, part manufacturing, packaging, assembly, and distribution. How do I begin manufacturing plastic part? API can assist in bringing your product to market no matter what stage of development your product is in. If you have an idea that you would like to create a design, print, or prototype for, contact an API engineer today. If you already have a design or prototype and would like to find out more about building a tool or manufacturing parts, request a quote today. How can I get a plastic prototype made? API can produce plastic prototypes with our in-house FDM machine so customers can have a physical model prior to commencing production tooling. Do you have a catalog of stock plastic components? Autronic Plastics, Inc. is a custom injection molder. We do not have a catalog or stock components as our tools are designed for specific parts and applications and unique for our customers. Depending upon customer requirements and agreements, we can arrange to build safety stock to suit your specific needs. Can API make bottles, balls, long tubes, or plastic bags? No. Autronic Plastics, Inc. is a Long Island Manufacturer that specializes in plastic injection molding. Bottles, tubes, balls, and bags are better suited for other means of plastic manufacturing (blow molding, extrusion, rotational molding, thermoforming, etc.). What happens after a part is produced? Upon completion of manufacturing, packaging, and assembly inspection, Autronic Plastics, Inc.'s warehousing team arranges shipping per agreement with the customer. API offers multiple shipping methods including full truck load (FTL) shipments, less than truck load (LTL) shipments, courier pickups, UPS, or Fed-ex shipments. Who can I contact about my existing order? API's dedicated customer service team is available Monday-Friday, from 9am to 5pm. You can reach us via telephone (516) 333-7577. How are my parts shipped? API ships parts domestically and internationally as per our customer requirements. Some customers prefer to setup their own pick-up with their own trucks or via a transportation agency. API can also arrange to ship via trucking company, courier service, UPS, or Fed-Ex. Customers can advise their preferred shipping method and can use their own accounts (pre-paid) if preferred. Alternatively, if credit terms are established, API can arrange for shipment and add the shipping cost to the invoice. API uses best judgement to ship, factoring in size of shipment, delivery window, and cost if a preferred method or carrier is not selected. Typical lead times for re-orders are 3-5 weeks. Lead time for a new tooling project is dependent upon complexity of the part and mold design. Simple molds can be completed in a few weeks. Complex, high cavitation, hardened steel, or multi-action tools can take up to a few months to complete. We build our molds to last in a high production manufacturing environment and do our best to work within our customers time and budget constraints. Does API use recyclable plastics? Yes. API uses environmentally friendly, recyclable plastics. Does API use recycled plastics? Does API use biodegradable plastics? Yes. API is capable of processing and manufacturing parts with biodegradable plastics. I have a problem with my existing mold / I have a problem with my existing molder – can API help? Yes. API's engineers will help facilitate the move of the mold from its current location, qualify the mold, and can make repairs if necessary to achieve the quality standards you are looking for. Give us a call today (516) 333-7577 to talk to an API engineer! Does API offer CM (Contract Manufacturing) or OEM (Original Equipment Manufacturer) services for plastic injection molding? Yes. Autronic Plastics, Inc. manufactures products and components for several companies and customers that retail under the purchasing company's brand name.